Myelodysplastic Syndrome, or MDS is also known in its former name as preleukemia. This condition is a collection of disorders having heterogenous hematopoietic nature. A person with MDS either has a hyper or a hypo cellular marrow with an impaired morphology and maturation. In other words, the production of blood cells will become affected. MDS is a disease that happens rarely to people. Because of this, there are no reliable frequencies of people having this disease so far. This disorder is clonal in nature, and there is no specific factor that could be held responsible for having this disease. However, there are several speculations that MDS could be caused by mutations that occurs within the multi-potent bone marrow stem cell. There would be damage in the blood precursor cells, and there would be an observed increase in the apoptosis levels in the cells located at the bone marrow. In this case, normal cells mutate and become caner cells because of the abnormal cells undergoing clonal expansion. According to the known cases of this disease, the males, particularly the elderly (of ages 65 and above) are more prone to having MDS. It is very much rare for infants, children and robust teens and adults to have this disease. In the early stages of MDS, there could be an occurance of cytopenia because of apoptosis, or the automatic cell death increase. Before the newly manufactured cells enter the blood stream, self destruction takes place. This self destruction process causes anemia. As the disease progresses, there would be a gene mutation which will proliferate leukemic cells. This will be something beyond the bone marrow’s capacity, thus causing Leukemia to those who have this disease. Some signs could be readily noticed, just like other diseases related to the blood. 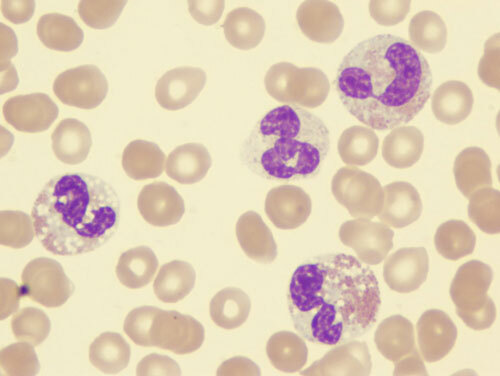 To name a few, these signs are: thrombocytopenia, neutropenia and anemia, which is the most common sign of all. Thus, a person having MDS could also feel fatigue and lightheadedness. If the anemia progresses, it would as well cause tachycardia, mucosal and skin membrane pallor, and congestive heart failure. There could also be bleeding underneath the skin because of ecchymoses and petechiae. Patients would also be susceptible to gum and nose bleeding because of thrombocytopenia, as well as pneumonia or urinary tract infections. However, these could also be signs of other blood-related diseases. Thus, if any signs like these are seen, immediately seek for medical advise to undergo several tests. In order to diagnose a suspected MDS patient, he will undergo several laboratory tests such as bone marrow and blood tests, including aspiration and biopsy of the bone marrow, flow cytometry and cytogenetics. Earlier stages of MDS could be remedied by transfusion of the components of the blood that has been lost. There are also treatments which could increase the bone marrow production and there are also medications or procedures that could help decrease self destruction of blood cells. When the spleen has enlarged, patients could also be given splenectomy to alleviate the effects brought about by spleen enlargement. Treatment varies from the case of each patient. There might be a mix of medications such as hematopoietic growth factors, retinoids, immodulators and demethylation agents. For those with poor prognosis, bone marrow transplant could be an option for therapy as long as the donor’s bone marrow is compatible to the patient. Since MDS is rare, studies for an effective treatment is still ongoing. It is better to take preventive measures. Avoid unnecessary exposure to radiation, and any treatments that will possibly mutate cells. If there are any previous treatments that could alter cell production such as radiation therapy and the like, it is strongly advised to have one’s self examined for any signs of MDS. Early detected MDS could still be cured. Of course, living a healthy lifestyle is a very good preventive measure not only for MDS, but for almost all kinds of disorders. Proper diet, exercise, and a life away from smoking and excessive alcohol consumption. Taking of vitamin supplements is also a nice way to keep one’s self healthy.